RJ Cyler is quickly amassing a huge fanbase thanks to his roles in films such as 'Power Rangers' and 'Sierra Burgess Is a Loser'. People are obsessed with his talent, charisma and incredible on-screen presence. Find out his age, height and everything else about him here. 1. How old is RJ Cyler? RJ Cyler was born on March 21st 1995. He is 23 years old. 2. How tall is RJ Cyler? RJ Cyler is 1.83 metres. This makes him 6 feet tall. 3. What is RJ Cyler’s star sign? RJ Cyler is a late March baby. This means that he is an Aries. 4. Where is RJ Cyler from? RJ Cyler was born in Jacksonville, Florida. His dad worked as a truck driver and his mum was a cook. He has two older brothers. 5. Who plays Dan in ‘Sierra Burgess Is A Loser’? RJ Cyler acts the role of Dan in Netflix’s new teen rom-com ‘Sierra Burgess Is a Loser’. Dan is Sierra’s best friend in the film. However, their friendship gets tested when Sierra gets caught up trying to woo a boy. RJ Cyler plays the role of the Blue Ranger (Billy Cranston) in the 2017 movie adaptation of ‘Power Rangers’. Becky G, Naomi Scott, Dacre Montgomery and Ludi Lin also act in the film. 8. Who plays Adam Proteau in ‘I’m Dying Up Here’? 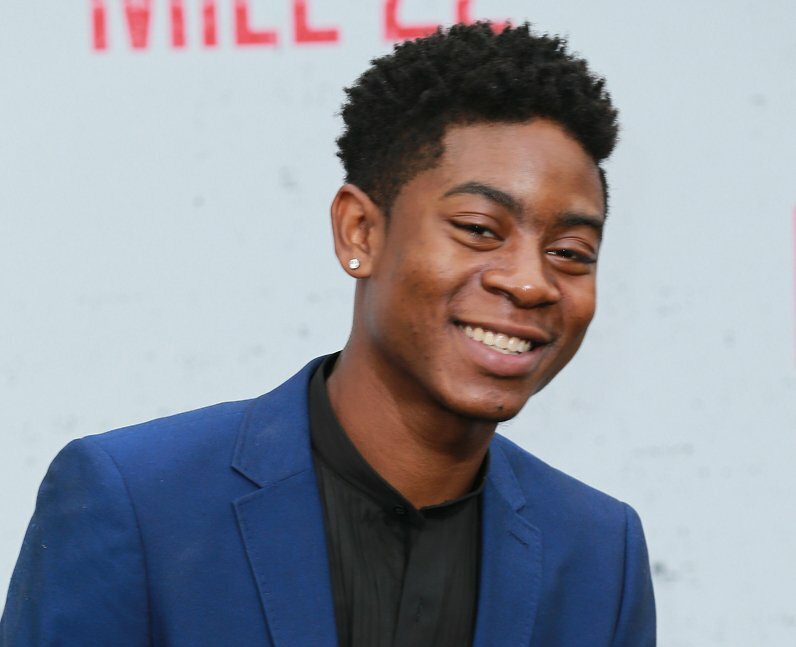 RJ Cyler bagged his first lead role in a TV series in ‘I’m Dying Up Here’ on Showtime. He stars as Adam Proteau who is a struggling stand-up comedian. Melissa Leo and Ari Graynor are also in the show. 9. RJ Cyler will play Deion Elliot in ‘Scream’ Season 3.
RJ will act the lead role of Deion Elliot in the upcoming rebooted third season of the MTV adaptation of ‘Scream’. Deion is ‘a local star running back whose past comes back to haunt him’. Keke Palmer, Tyler Posey and Mary J. Blige will also be in the slasher series. 10. Who is RJ Cyler dating? As it stands it looks like RJ Cyler is single. However, he keeps his love life pretty private so there is a chance that he could be seeing someone. 11. What is RJ Cyler’s net worth? RJ Cyler’s net worth is reportedly estimated to be around $500,000. 12. Is RJ Cyler on Instagram and Snapchat? RJ Cyler doesn’t have a public Snapchat account but you can follow him at @rj_cyler on Instagram. 13. Is RJ Cyler on Twitter? RJ Cyler is a regular tweeter. His username is @rj_cyler.